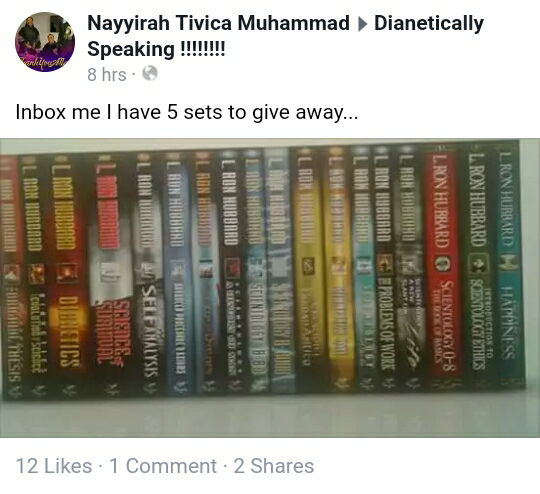 Nation of Islam Sister Nayyirah Tivica Muhammad has five free sets of Scientology Scriptures to donate to members of the Nation of Islam. 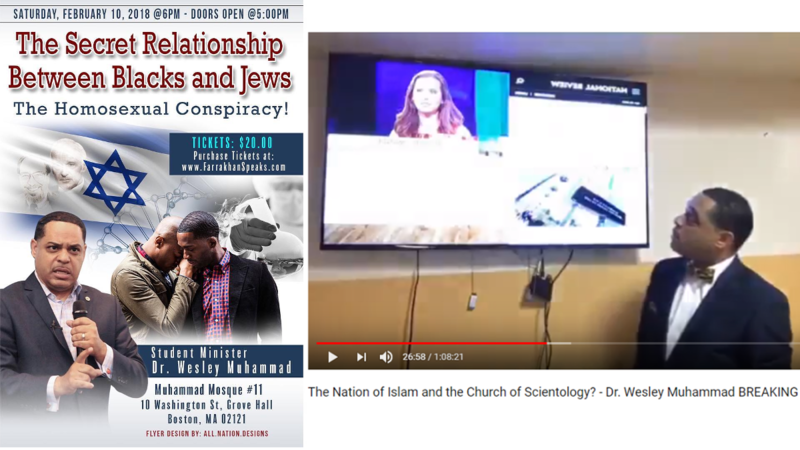 VIDEO: Nation of Islam Minister Wesley Muhammad (who also lectures on "The Secret Relationship Between Blacks and Jews - The Homosexual Conspiracy!") 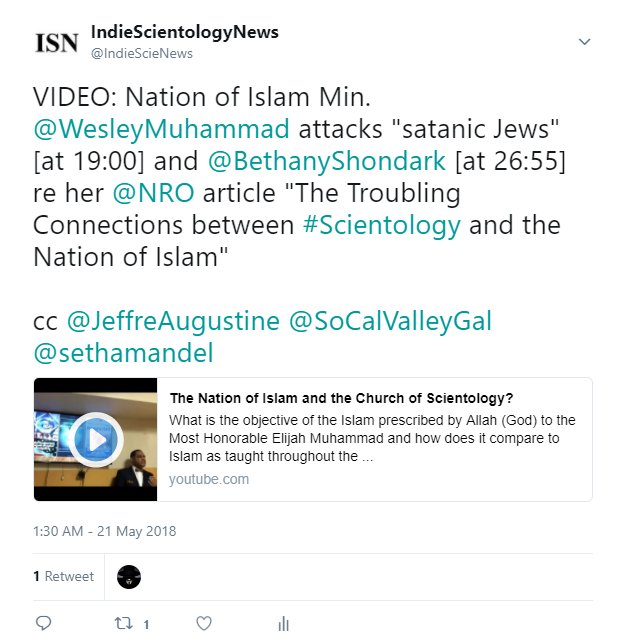 attacks "satanic Jews" [at 19:00] and Bethany Mandel [@BethanyShondark] [at 26:55] regarding her National Review Online article "The Troubling Connections between Scientology and the Nation of Islam." 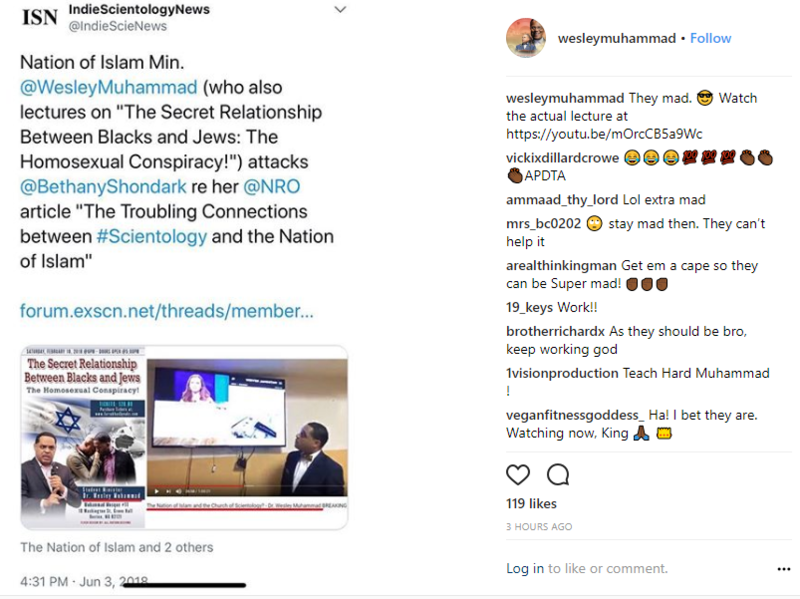 Nation of Islam Minister Dr. Wesley Muhammad has Tweeted and Instagrammed in response to my Tweet about his video reply to Bethany Mandel's NRO article regarding the relationship between the Nation of Islam and the Church of Scientology. Contrary to his assumption, I am not "mad." 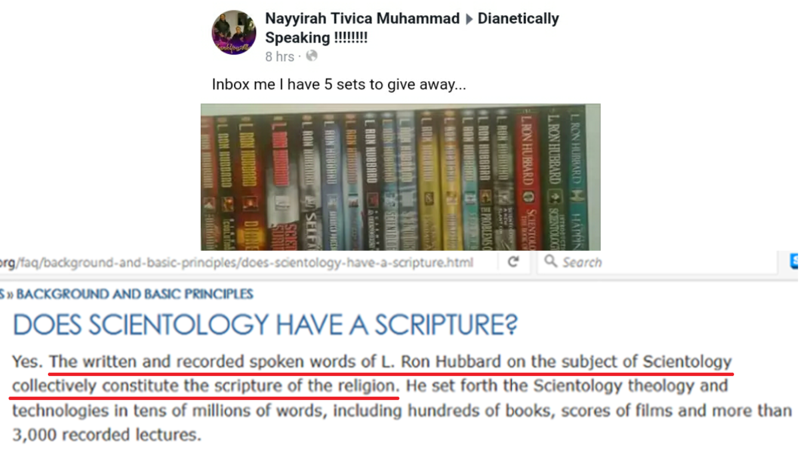 I am simply reporting Scientology related news. Follow the Pied Piper. Or follow the mad leaders who have a fist full of fingers pointing back at them. 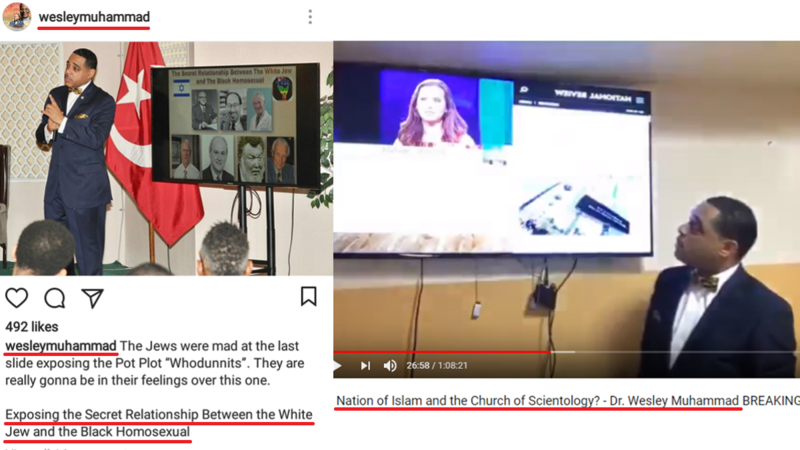 VIDEO: Nation of Islam Minister Wesley Muhammad (who also lectures on "The Secret Relationship Between the White Jew and the Black Homosexual") attacks "satanic Jews" [at 19:00] and Bethany Mandel [@BethanyShondark] [at 26:55] regarding her National Review Online article "The Troubling Connections between Scientology and the Nation of Islam." 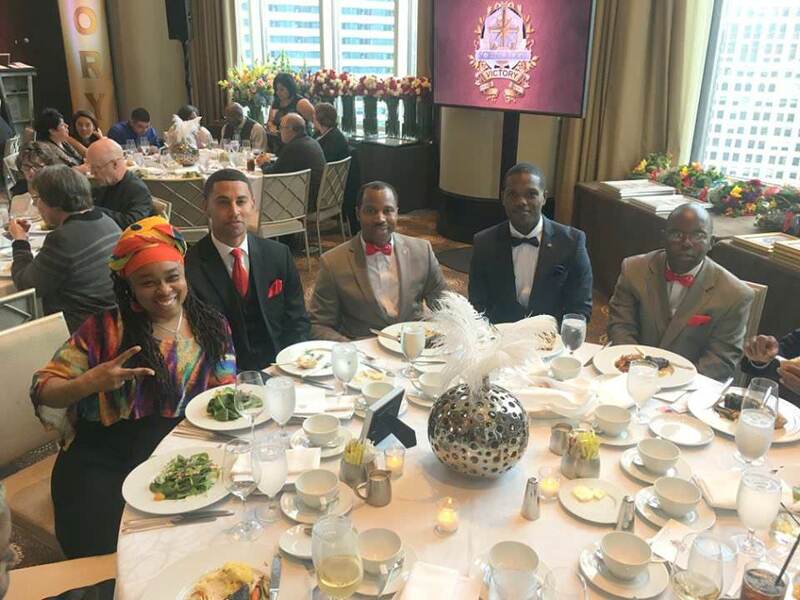 I'd love to see some of those pasty-white IAS donors and goofy grinning middled aged IAS patrons in similar "religious" black SS uniforms, showing the NOI that: "Hey, we're the IAS, we're not intimidated! If you NOI goons try to whack COB with AK47s blazing, we are going to yell 'HCO BRING ORDER' really really loud!" 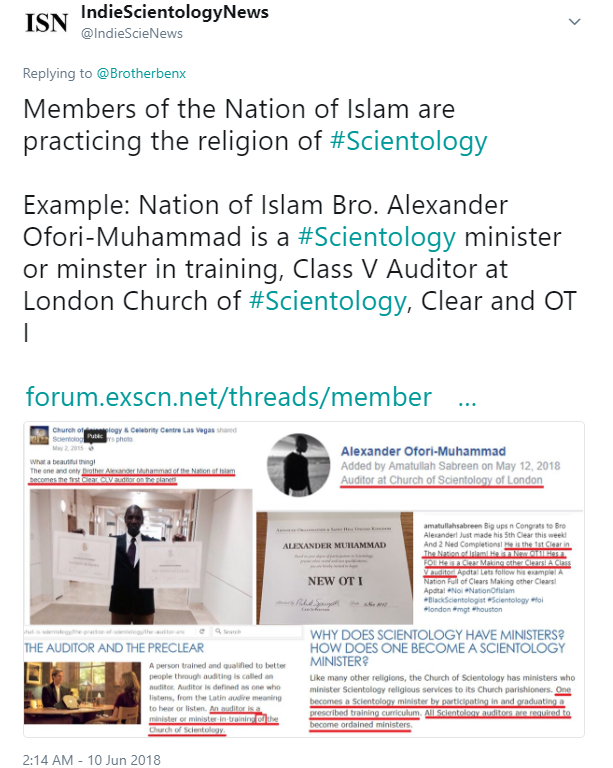 Summary to date: Nation of Islam Brother Alexander Ofori-Muhammad is a Scientology minister or minster in training, Class V Auditor at the Church of Scientology of London, Clear and OT I. 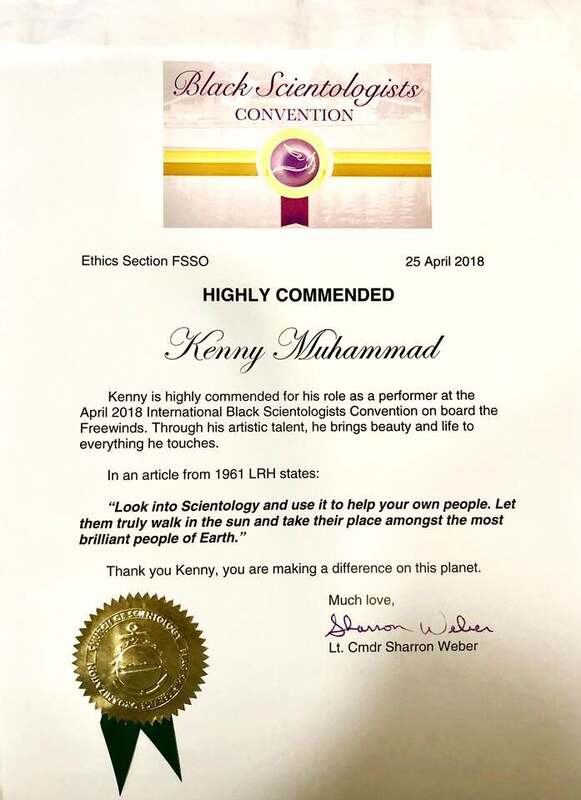 Nation of Islam Brother Alexander Ofori-Muhammad is practicing the religion of Scientology. 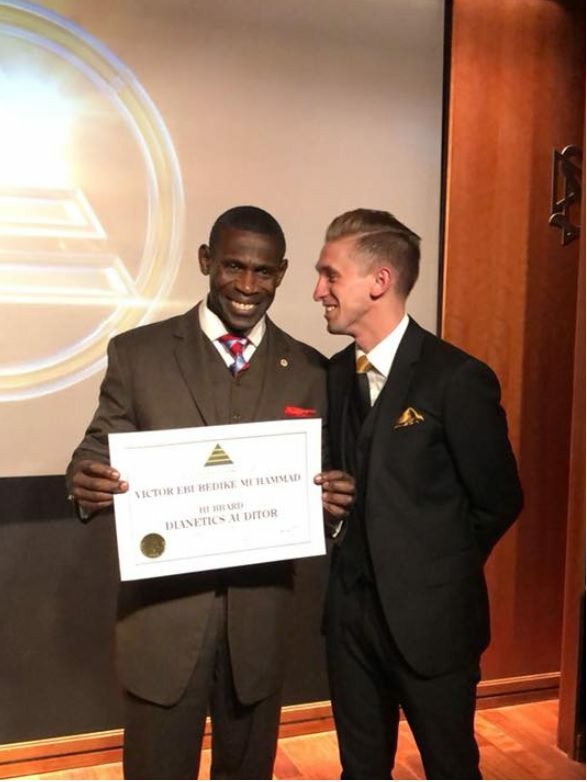 If he isn't, who is? 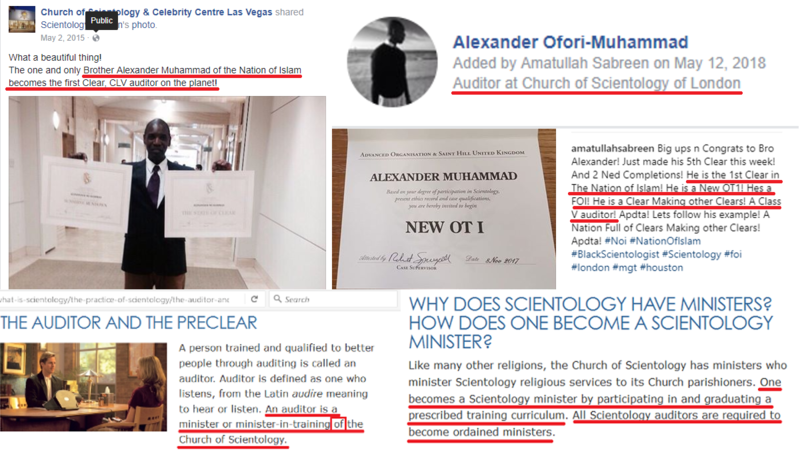 In response to one of my tweets, Nation of Islam Brother Ben X argued that members of the Nation of Islam "are simply using auditing in dianetics we haven’t changed anything!" I disagreed. As always, retweets, quotations adding content and replies welcome. 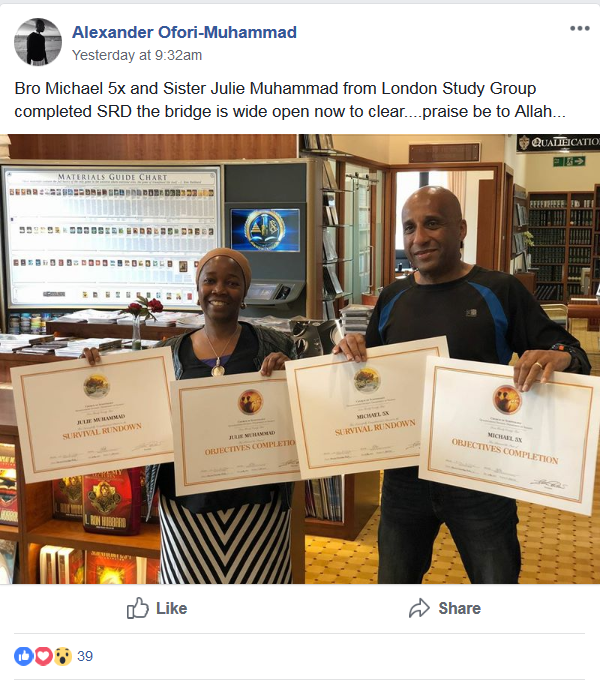 Wows-ah ! 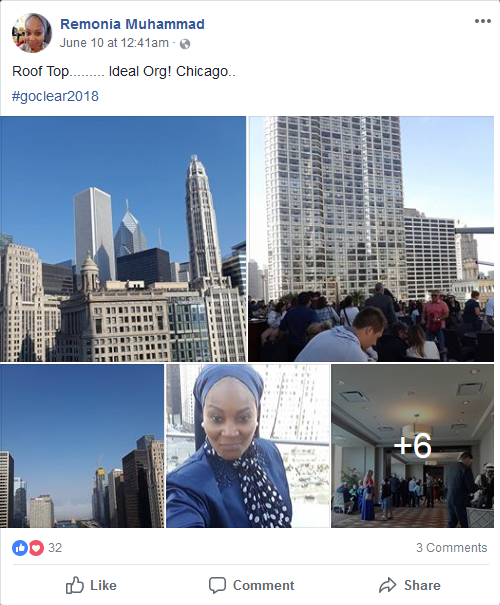 Dianetic's Acid trip to the Mother Wheel..10,000 angels as prophesied ready to wipe out all the Satanic Jews and White Devils here on Teegeack. No worries. Just edit. Or copy your text and reply again. 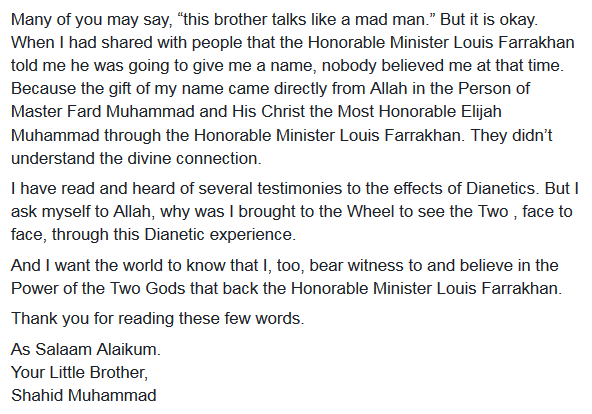 You did a great job summarizing the video, and I hope people see your summary. 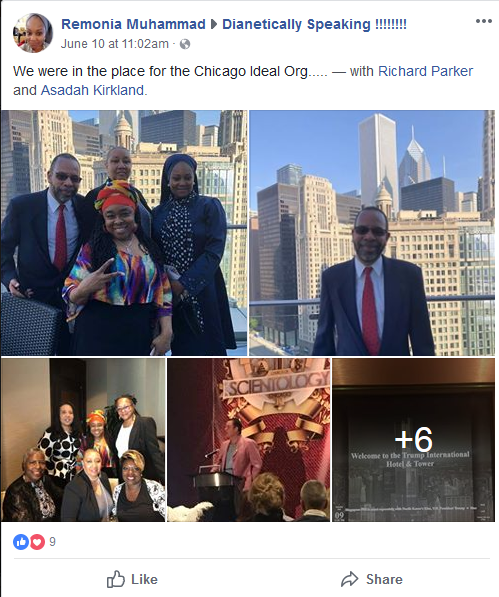 they are full blown Kool Aid drinkers... soon they will be selling the final call and bean pies and body routing on the street corners. 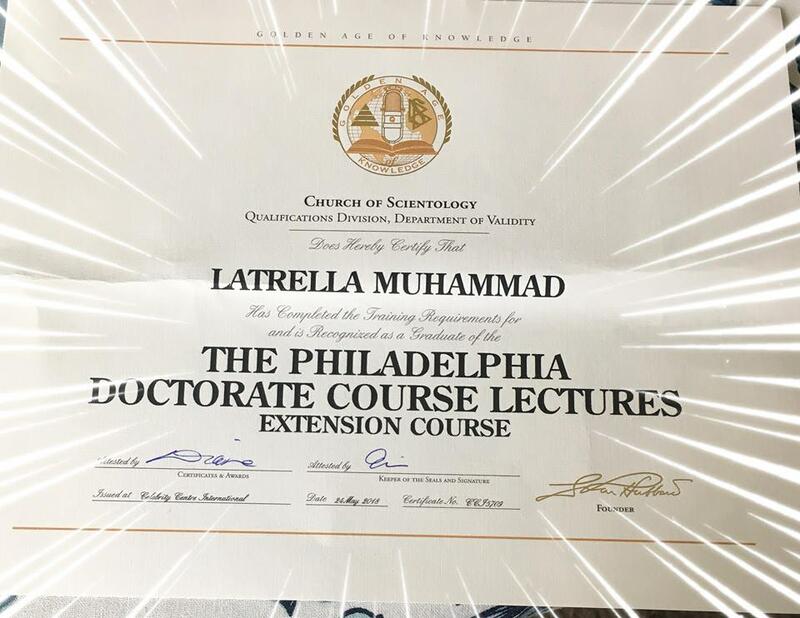 Nation of Islam Sister LaTrella Muhammad has completed the Scientology Philadelphia Doctorate Course Lectures. 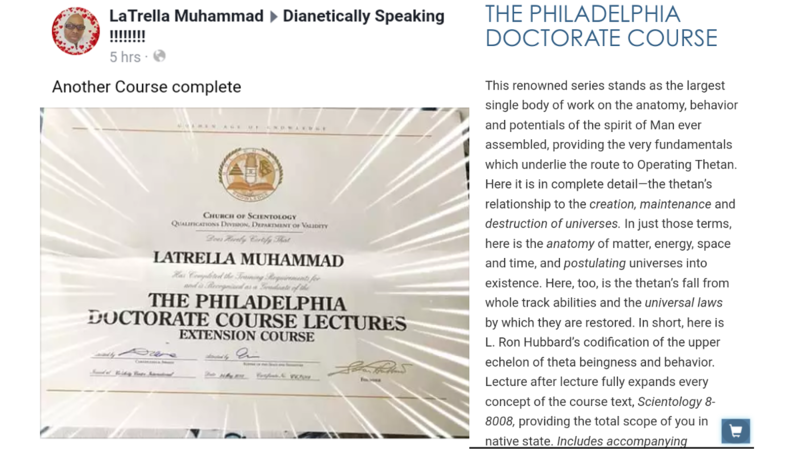 The Philadelphia Doctorate Course is clearly consistent with Islam because, as every good Muslim knows, Allah did not alone create the universe, and (as described in the course description) any "Thetan" can postulate universes (plural) into existence. 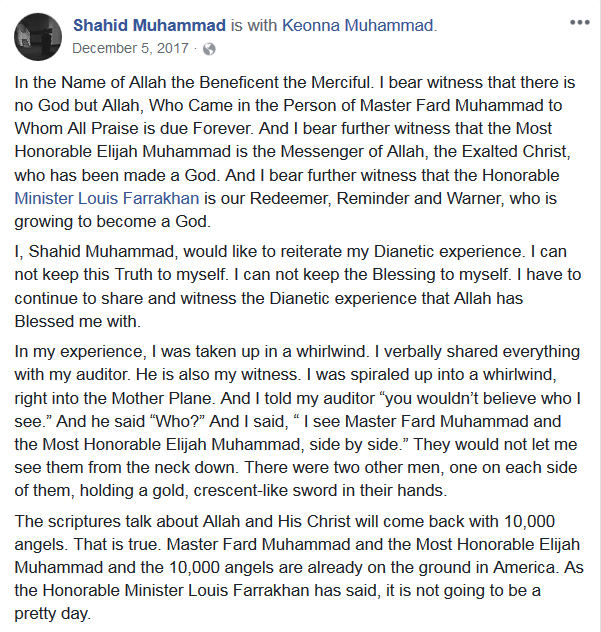 Nope, no problem with shirk here.